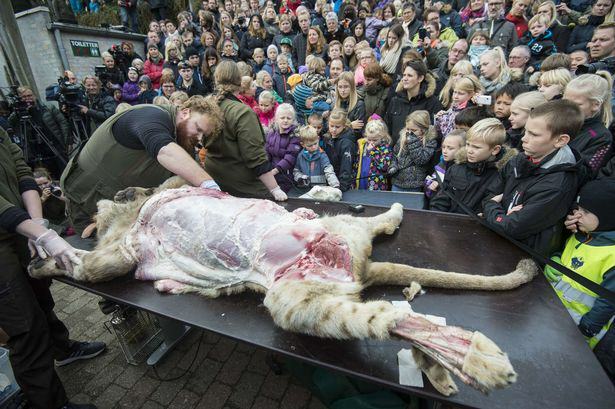 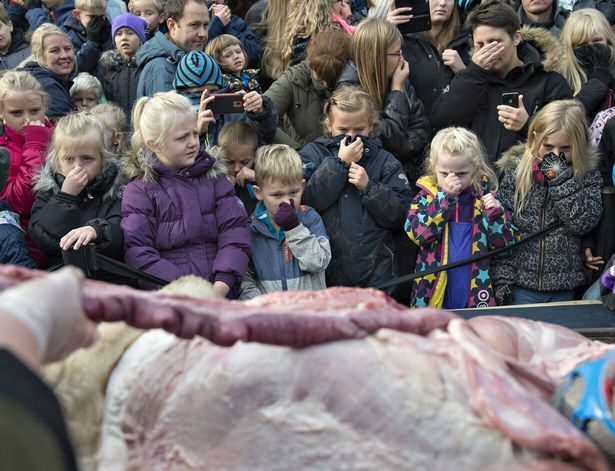 This afternoon children watched as keepers at Odense Zoo in Denmark publicly dissected a lion, which was kept in refrigeration for the big day after it passed away. 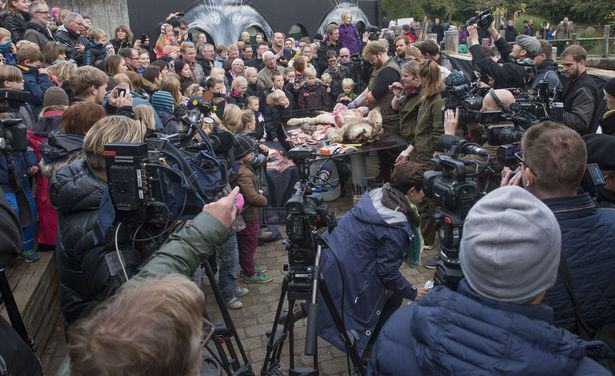 And yes, it is that zoo. 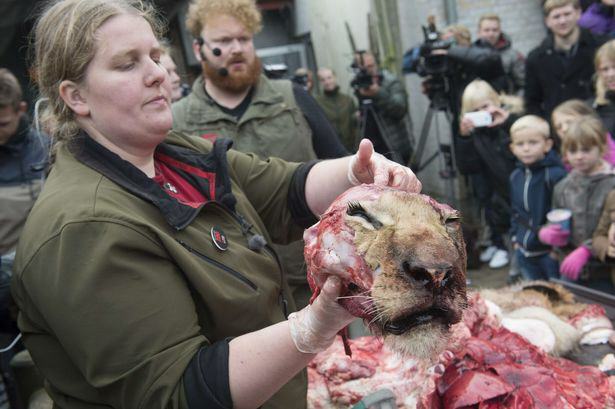 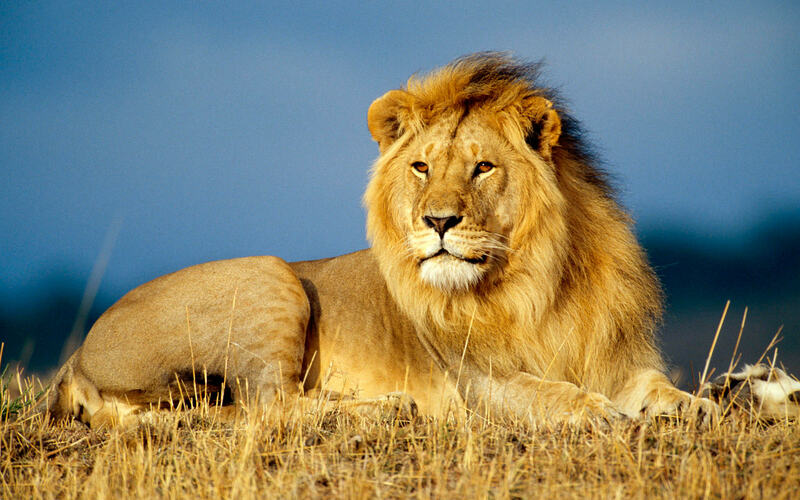 In 2014 Odense Zoo was criticised for dissecting a giraffe in front of kids before feeding it to the lions. 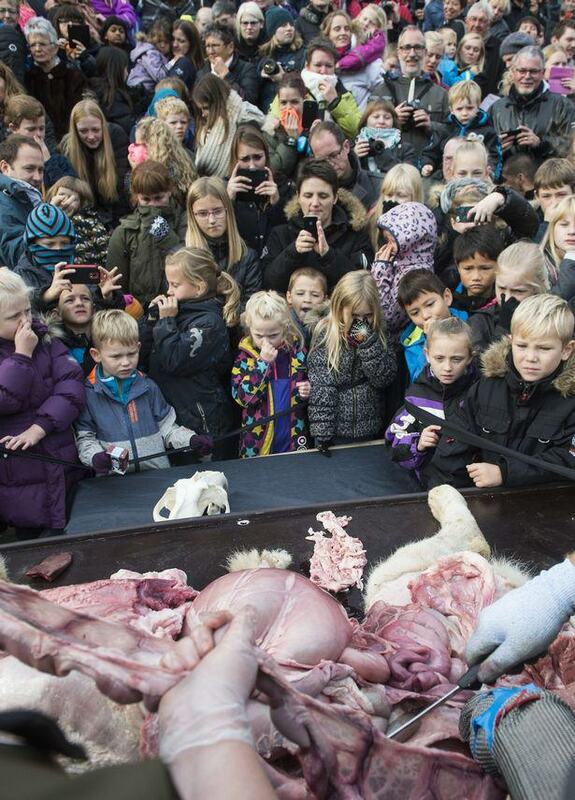 Apparently dissections like this are common in Denmark, and this latest event was widely supported online.